Happy 2017 everyone! 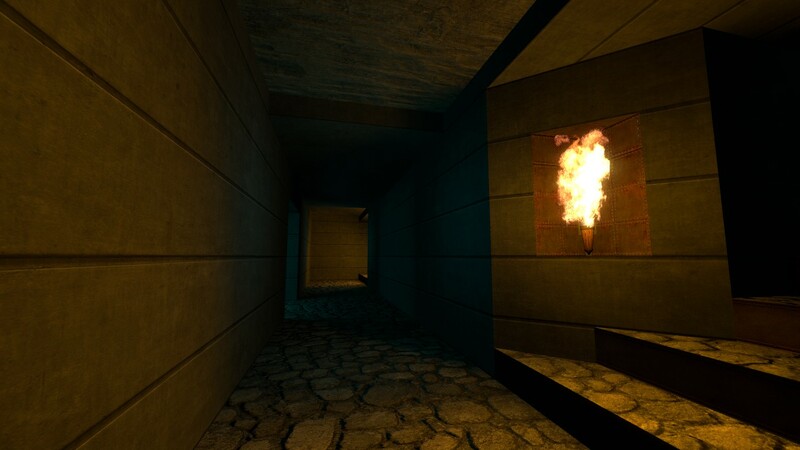 I figured there was no better way to bring in the new year than with a dark, eerie Quake map. Anyone familiar with Quake will probably recognize this map, where you fought the first boss of the game, Chthon. 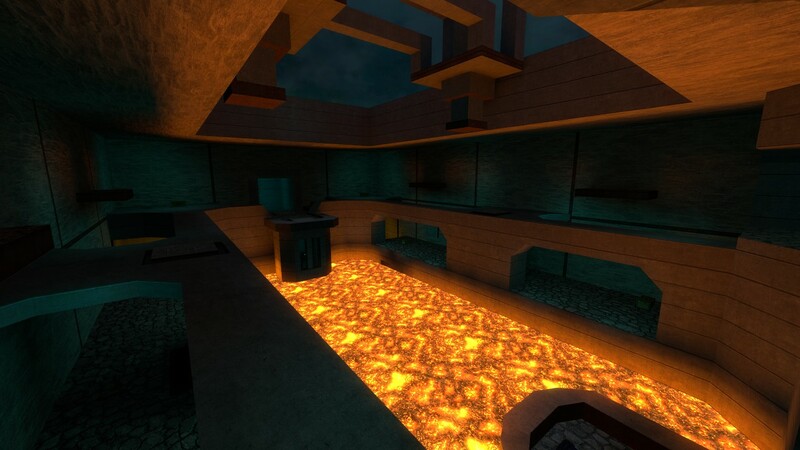 The small scale of the map combined with the dangers of a lava pool also made for some frantic online matches against other players. It was was always a personal favorite map of mine from Quake, so I thought I'd recreate it for GE:S! the map is scaled 1:1 from the original, using the original geometry as a reference, but using textures and assets from GE:S. Weapon placement is mostly faithful to the original, with some minor tweaks to help with the overall balance. 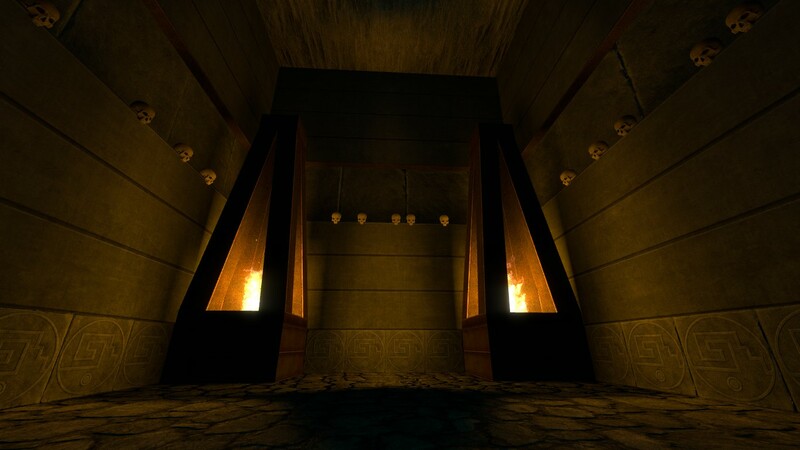 It also includes 2 of the original tracks from the Quake soundtrack by Nine Inch Nails, as well as some of the original in-game sound effects. Originally used to defeat the boss, their functionality served no real use in GE:S. They've been modified, and can now fire independent of each other, opening the possibility of electrifying some poor sap who's walking along the side catwalks. optimal player count is between 2-4 players, maybe 6 at most. It does have 12 player spawn points, but anything above 6 players is untested and likely to be a nightmare. 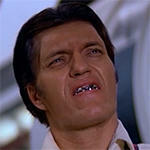 Team play modes such as CTF or Living Daylights are supported, but probably not ideal. Bots are not supported due to the layout of the map. They would simply get stuck and not be able to use the elevator. Sorry, bot users. If you experience any issues or bugs let me know and I'll iron them out. Other than that, Hope you guys enjoy! where is the res file? Although it would be more efficient for the mapper to make it, the norm is that the server owners do it themselves.